OK. Now we’re talkin’ breakfast! Baby Lady loves fried eggs. She will eat them every opportunity she gets! She loves them for breakfast, lunch & dinner. She likes them on toast, as chilaquiles, on enchiladas, as a sandwich, etc. You name it, she likes it! Aren’t these pretty ? 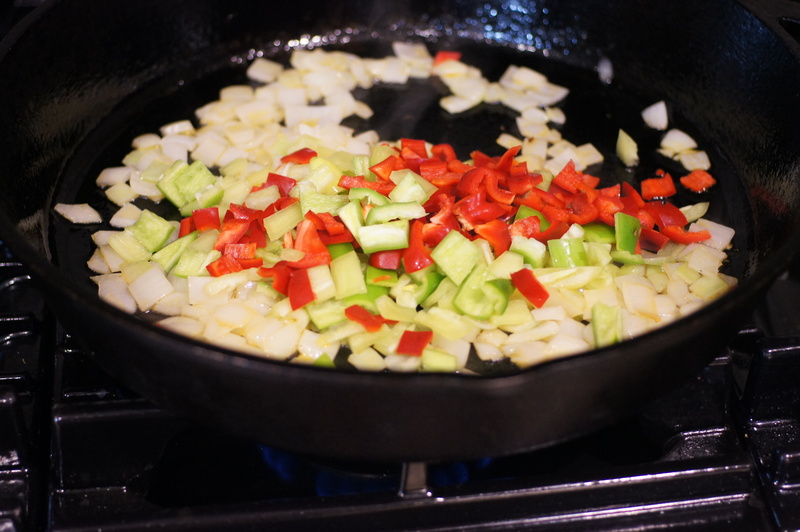 Now, cover the skillet and let cook for roughly 20 – 25 minutes, stirring occasionally to prevent the vegetables from sticking to the bottom of the pan. After about 15 minutes, begin checking for doneness, i.e. put a toothpick in one of the potatoes – if it has no resistance and goes through, they are done. When the potatoes are almost done, increase the heat to medium high and remove the cover. Add the mojo de ajo and stir to incorporate. 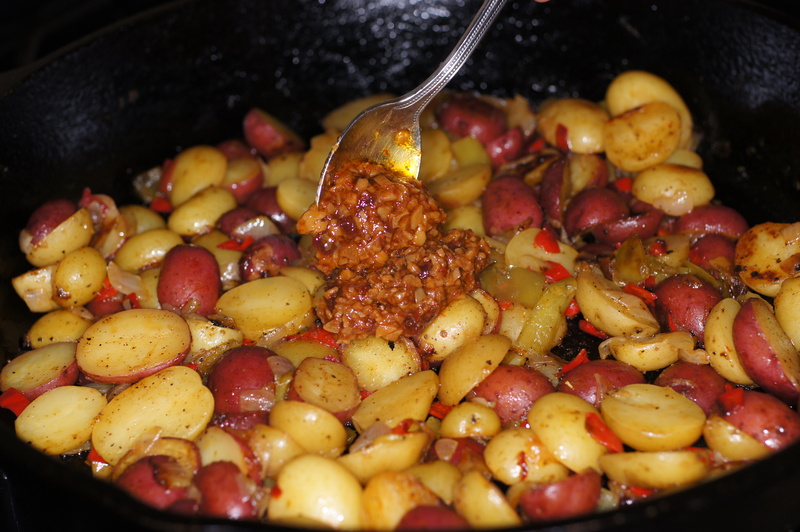 Cook over medium-high heat, stirring occasionally, until the potatoes are cooked through and they have begun to brown. Remove from heat. 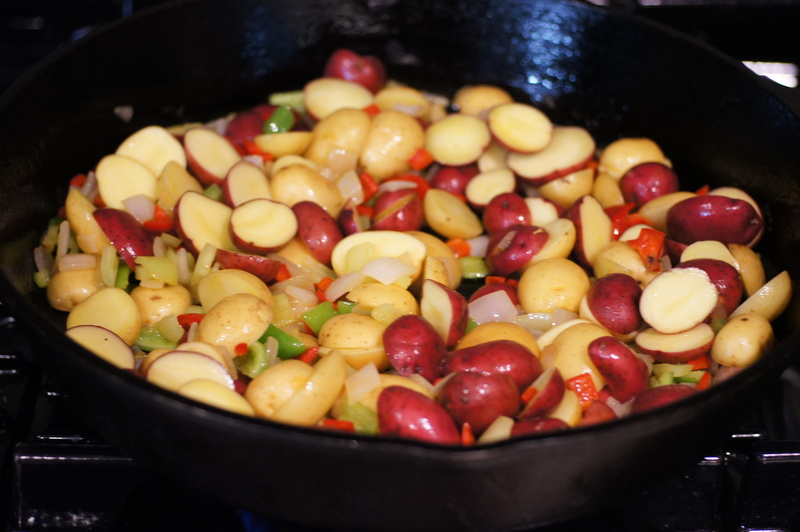 Place potatoes in a serving dish. Fry your eggs however you like them. Baby Lady likes hers over easy. I like mine sunny side up for aesthetic reasons. 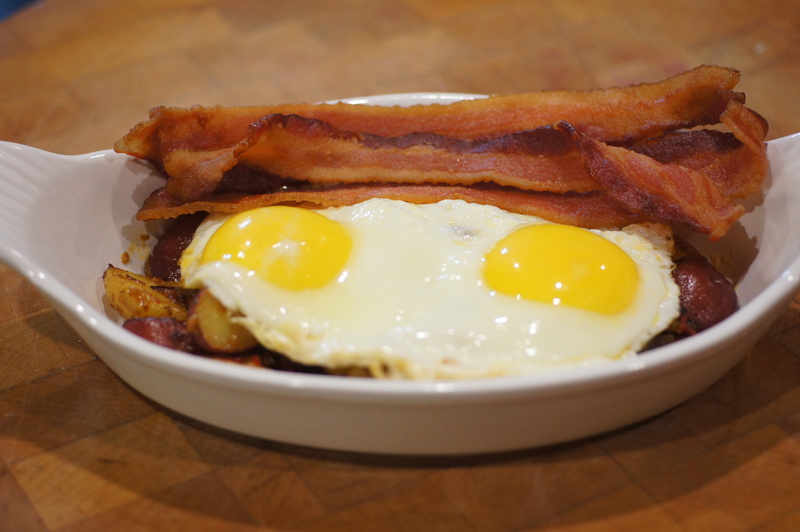 😉 Place eggs on top of potatoes and put bacon on the side. Serve & enjoy! 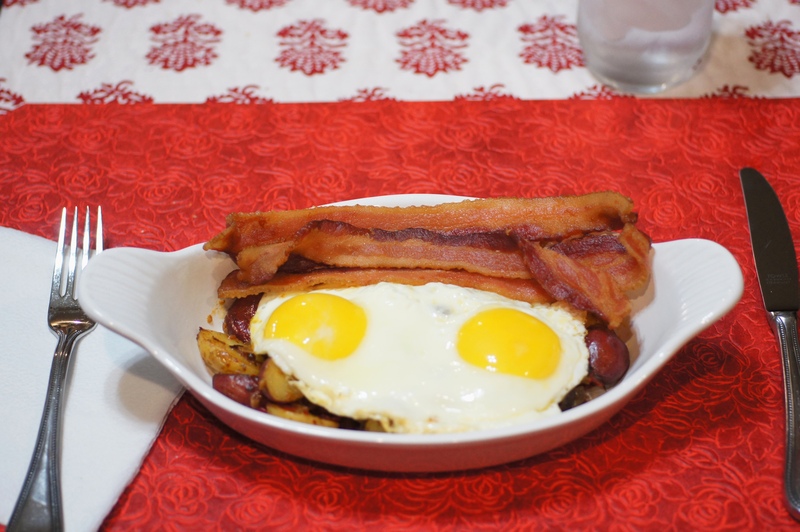 Our family often has breakfast for supper! The title of this one is quite a mouthful.. but I’d love a mouthful of this breakfast.. it looks wonderful!! 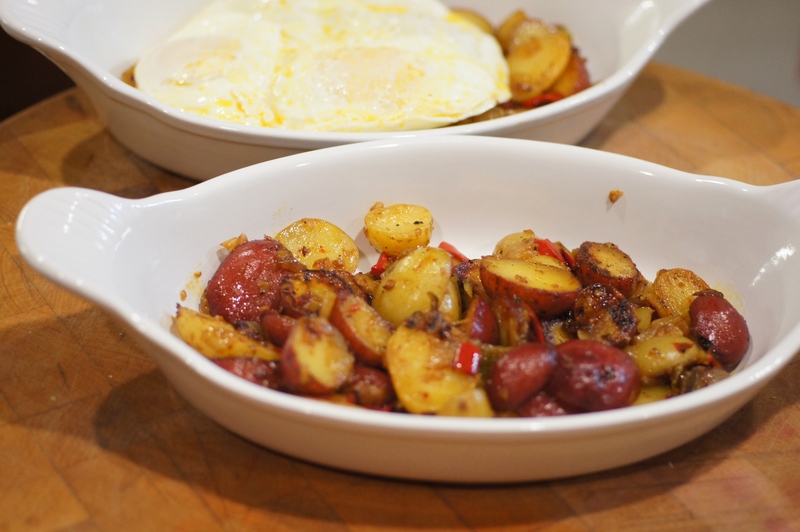 Breakfast for supper is a favorite treat and I love “regular” peppers & spuds. Adding your mojo de ajo would definitely take them onto another level. Serving them under sunnyside-up eggs would be perfect! 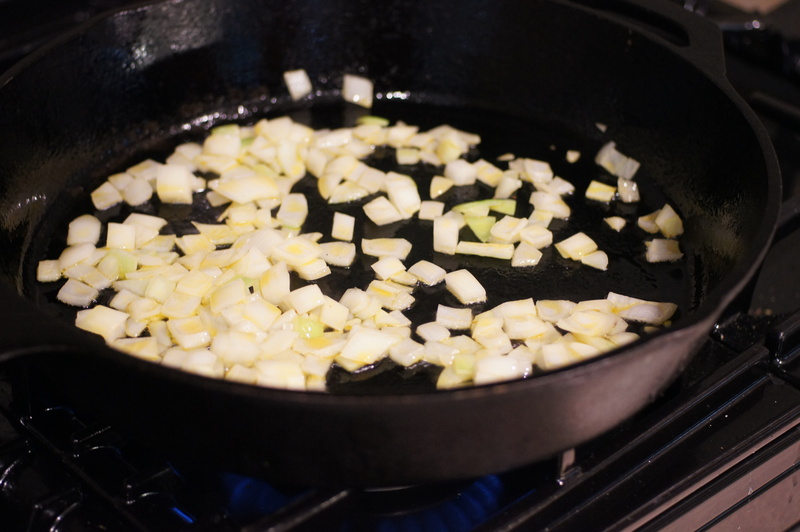 I’ll bet your Mojo de Ajo WOULD be good with eggs…….even atop scrambled eggs. I’ve printed out the recipe to try soon. Thanks! 🙂 Let us know what you think once you try it.